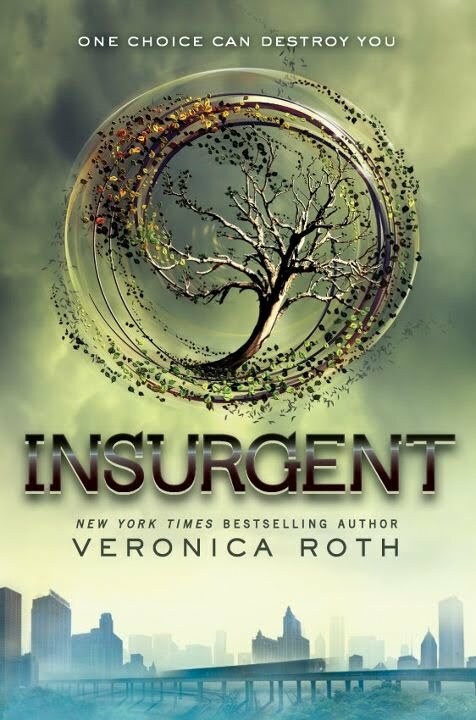 Yesterday, I finished the book "Insurgent" by Veronica Roth. It is the second novel in what will become a trilogy (currently, only Divergent and Insurgent are available for purchase). The third book is to be released in fall of 2013. I don't know if I can wait that long! And here's why. Two days ago, I was in bed, reading fast and furiously. The book is so fast-paced that I just couldn't put it down. Before I knew it, only 15 or less pages remained. Unfortunately, I had to get to bed, for it had got a lot later than I'd realized. But seriously, I was going insane. I had to read those final pages! Finally, I managed to drift away to sleep. I found out something really cool the today, while I was writing my Insurgent book review. Curious to see what the title meant, I searched it up in my all-purposeful, ever-useful, dictionary. This is the definition it gave me: "rising in active revolt". What a great title for her second book! The entire novel is based around the rebellion and revolt that is occurring, and the one thing that Tris remains throughout the entire series is a rebel. I was so pleased with her brilliant choice of title, so I also decided to find out about the word "divergent". I found that divergent means splitting apart, or going in different directions. Also, I have been thinking of what title would be appropriate for her newest book in the trilogy. I searched it up in Google, and found that someone had said "Convergent" would be an appropriate choice. Not having read the book, I cannot say that it would be perfect, but upon looking it up in the dictionary, I realized that it means "coming together". I found this interesting, and I am very curious to read the last book and see if her title choice matches to the book so perfectly again. Anyway, I highly recommend this soon-to-be trilogy to anyone around the age of 13-18 who enjoy dystopia and science fiction books. 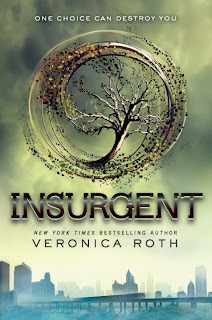 Check out my book review of Insurgent too! I highly recommend reading them soon!